SEARCH FOR MORE GREAT DEALS BELOW! If you’re looking for an African safari and tours specialist to help you plan out the perfect holiday, then you’ve come to the right place. Welcome to the Wild Africa website – we are Africa safari and tour specialists who are more than happy to provide you with a Southern or East Africa safari and tour that will give you a memorable and eye-opening holiday experience. We have a huge range of African safaris and tours on offer. Whether you’re looking to visit the Kruger National Park, want to go on Okavango Delta Tours, visit the Serengeti or would like to see Victoria Falls – one of the Seven Wonder of the World, or have any other destination in mind, we have African safari and tour packages to suit you. When we provide an African safari from Australia and around the world. 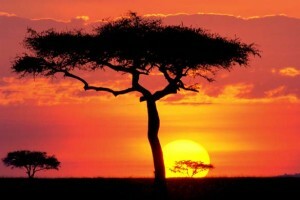 Our African safari and tours specialist can incorporate all kinds of destinations into your itinerary. You can stay at Kruger National Park then tour Cape Town and visit the beautiful Garden Route. Stay at Victoria Falls then visit Chobe National Park in Botswana to see the vast array of amazing wildlife. You could even add an extension to the fascinating Okavango Delta of Hwange National Park. You can enjoy an African safari on the plains of the Serengeti of Masaai Mara and Ngorongoro Crater. Climb to the top of Mount Kilimanjaro and then visit the beautiful island of Zanzibar. If you are more adventurous you might event what to take a Gorilla Trek in the Rwanda or Uganda. Travel to the fascinating country of Namibia and explore the spectacular Skeleton Coast where the Namib Desert meets the coast. Or journey to the amazing Island of Madagascar to see the fascinating Lemur in the wild. You can see that we have a huge variety of African safari, tours and holidays to offer you. No destination or African experience is too much trouble for our African travel experts. We can even book travel to most Africa destinations not even mentioned on our site. So please do not hesitate to ask our consultants. Our African safari and tours are designed predominantly for the independent traveller but we ensure our clients are well looked after. On the ground we have with personalised meet and greets . Company contact in the country you are travelling through in the event of any issues with your travel arrangements. Then booking your next Africa safari travel package and have our African safari and tours specialist organise your trip of a life time.